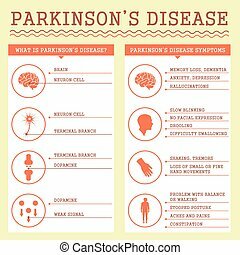 Dementia disease and a loss of brain function and memories. 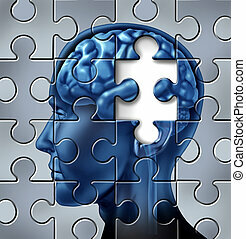 Human brain research and memory loss as symbol of alzheimer's concept with missing pieces of the puzzle. 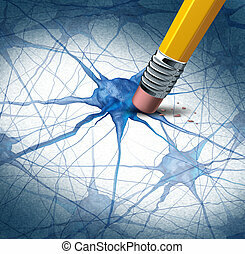 Dementia disease and a loss of brain function and losing memories as alzheimers as a medical health care symbol of neurology and mental problems with a pencil eraser removing the head anatomy on a grunge old parchment paper. 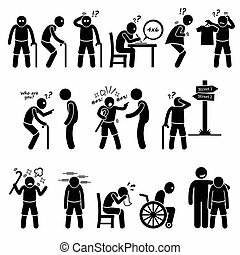 Brain disease dementia problems with loss of memory function for alzheimers as a medical health care icon of neurology and mental illness as a pencil erasing neuron cells from the human anatomy. 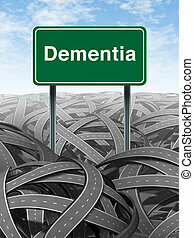 Dementia and alzheimer Disease medical concept with a green highway road sign with text refering to memory loss and human brain problems with tangled roads and twisted streets a symbol of confusion. 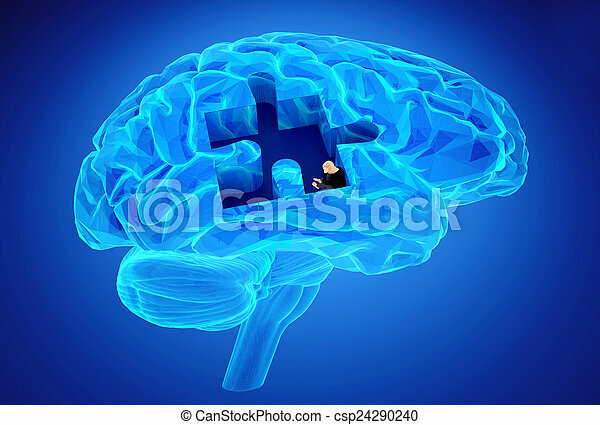 Memory loss and alzheimer's medical symbol represented by a human brain with a missing piece of the puzzle texture. 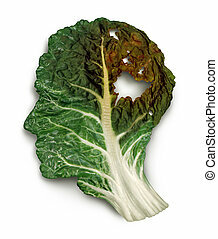 Brain decay disease with memory loss due to Dementia and Alzheimer's illness or cancer icon as a medical symbol of a green kale leaf shaped as a human head and neurons degenerating and dading away as a concept of intelligence decline. 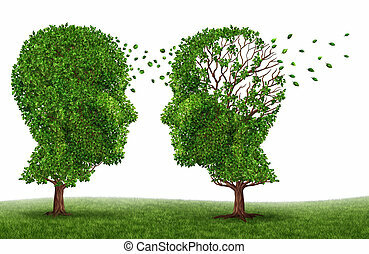 Living with a dementia patient and alzheimers disease with two trees in the shape of a human head and brain as a symbol of the stress and effects on loved ones and caregivers by the loss of memory and cognitive intelligence function. 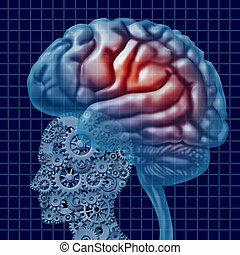 Brain intelligence technology as a mental health concept with a human head made of connected gears and cogs with active neuron function as a cerebral icon of neurological cognitive diagnosis. 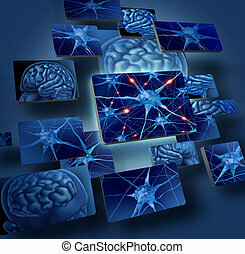 Brain neurons concepts as human brain medical symbol represented by geometric windows close up of neurons and organ cell activity showing intelligence related to memory. 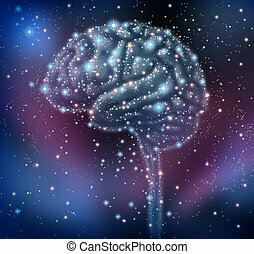 Brain intelligence discovery with a human brain shape made of stars and planets in a space beckground as a neurological health concept for research and solutions. 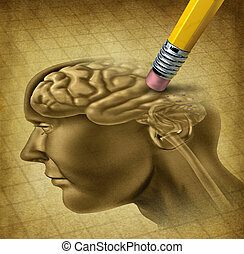 Illustrations showing Alzheimer disease on elderly man. 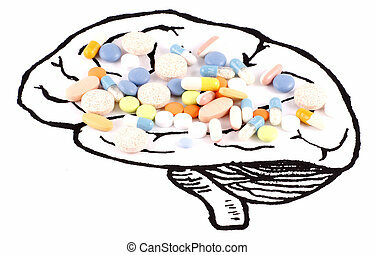 He has memory loss and keep forgetting things. He lose his basic skills, getting lost at places, and feel very emotional. 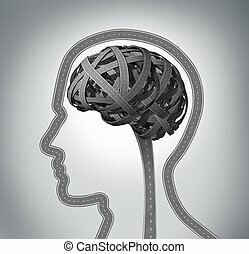 Human guidance and memory loss due to Dementia and Alzheimer's disease as a group of three dimensional roads shaped as a human head and brain tangled in a confused direction mind function concept. 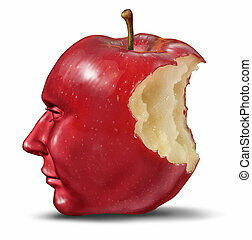 Depression and loneliness with human head in the shape of an apple with a bite eaten out of the red fruit as a health care symbol of despair and loss of brain function and losing memories. 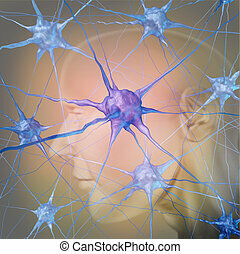 Human neuron cells in the brain as a medical symbol representing psychology and the science of neurology research in finding treatment for mental health diseases as alzheimer dementia and autism.